Australia is a huge country, and knowing exactly which route to travel around it is nigh on impossible. 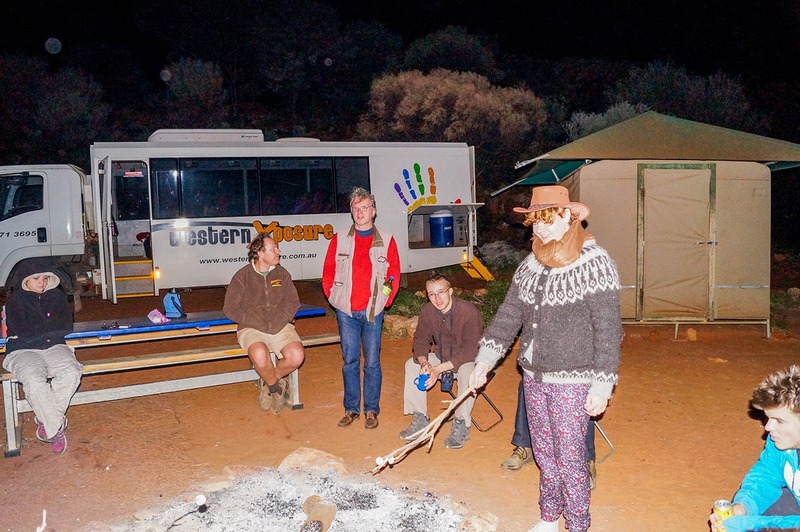 There are plenty of ways to traverse the varied Australian landscape, and they all have their own unique experiences to offers. But for now, lets have a look at how to go about finding an Aussie tour.Like all things, there are good and bad points of using a touring agency. Essentially with a tour, you’re going to be travelling a set route with a bunch of complete strangers. And it all begins on day one. You won’t be able to make last minute decisions to split away from the group, and you’ll be constrained to spending set amounts of time at certain locations. Sounds pretty awful doesn’t it? But it doesn’t have to be, and from experience, there are a whole bunch of upsides which you can only really get from heading out with a tour company.Well there are a few negatives, but what are the reasons FOR heading on tour with a guide?You’ve got a good chance of ending up with a knowledgeable tour guide. These guys have to know their stuff, it’s part of their job. I won’t go into the details of life as a tour guide in Australia, you can ask for the gritty details yourself. The tour guide you end up with will have a huge influence on how you find your trip. I’ve had some absolutely amazing tour guides (Lookin’ at you Dan) and some less savoury ones. Don’t get me wrong, they all did a great job as a tour guide, but I prefer a more chilled atmosphere to an energetic party-like one, and you’ll find your guide often nurtures the atmosphere. You’ll meet a whole bunch of awesome people. Those strangers? They’re also travellers. They also have amazing stories to tell. They’re most likely from different countries and speak different languages. Sure, they’re complete strangers, for now. Everyone joins a tour in the same position for the most part. Usually alone or in a small group (2-3 people tops) and they don’t know anyone. They want to see stuff and do stuff that is fun and engaging, just like you. You’ve got a ton in common so you’ll definitely make a whole bunch of awesome new friends.Tour guides spend a lot of time on these routes. Those lesser-known, totally amazing places that you often see the odd picture of, you know, the kind where the full on tourists never get to see, well the tour guides know all about them. There’s a good chance they’ll even take you to them. If you want to watch a sunrise or sunset, they’ll know the best, least crowded spots for a spectacular view. Why would they take you somewhere crap? They have to see this stuff too.You can find tours which are suitable to you as an individual. When you’re looking at going on a tour you’ll probably want to consider a few things. Not ridiculously important, but you’ll want to go with a company that is in the business of tours. Check the reviews. Check the tours themselves. 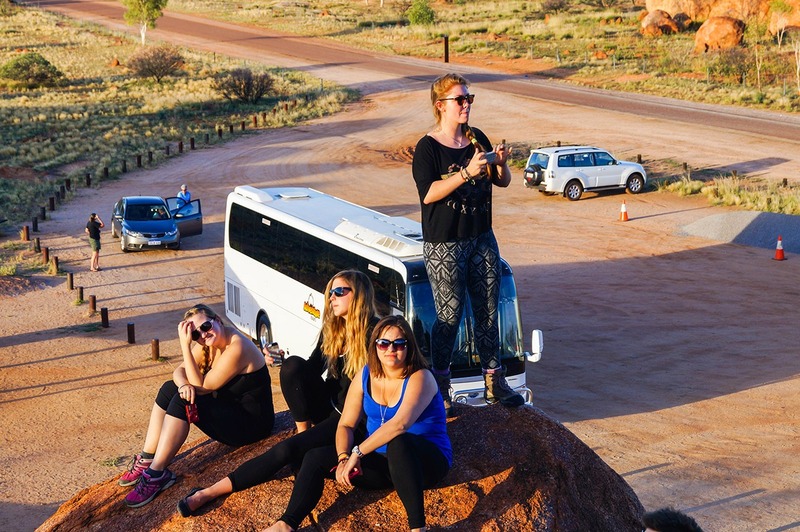 If you want to go to Uluru and the tour company you’re looking at doesn’t include that in the itinerary, you’ll probably want to give them a miss (Though I’m 99.9% sure no tour would skip Uluru). If you’re 23 you aren’t going to enjoy a tour aimed at over 60s. The reverse applies (usually). Some tours have a huge variation in different ages. The last tour I went on had a group anywhere between 20 and 60. And youngsters, don’t leave the older folk out. They’ve most likely travelled a hell of a lot more than you and have way more stories to tell. Spend some time getting to know them, again, you’re all travellers, age is but a number. Most tour companies will have their own social media pages set up. They’ll likely be filled with pictures of their tour groups having fun. Go take a look. You’ll see for yourself whether people are enjoying the tours or not, and if you don’t believe the pictures are revealing enough, check out the comments. Some of these pages are worth sticking around on as well, take Alice Desert Guides for example, there’s a lot of rare and interesting information available on the page that you’d struggle to find elsewhere without prior knowledge. You can check out their facebook page too. This is hugely important. Not every tour company does tours everywhere you want to go. Again, make sure you check the itineraries. Sometimes you get a day or 2 to spend in cities that you pass, if you want to do something nearby then you have an excellent opportunity to do so, but there isn’t much point going out and doing something that you’ll be doing again in a couple of days time with your new friends. Guided tours aren’t necessarily cheap. They often include accommodation and food, but won’t include every meal so you might need to fork out a little extra. You’re going to want spends too. You can always take a tours itinerary and follow it but plan the whole trip yourself. The only thing you have to consider is that these tours happen constantly, and there’s always the chance they get extra benefits when visiting places (which I know they do) because of their regular custom. You can’t overlook the fact that there will also be a chance that they go off piste and add in a few extra places to the itinerary, and if you don’t know where those places are you’re likely to miss out.Essentially, you’ll need to decide whether to join a tour or go it alone yourself. There are positives and negatives for both, and personally, I’d recommend giving both a try. On different routes, obviously.If you want a place to start, here are a few links to tour operating companies based in Australia. I can’t say which ones are good or bad because I haven’t used them all, I just know they exist. The rest is up to you! Have you had any great or terrible touring experiences? Let us know! Have we had any great or terrible touring experiences? We’ll let you know in about 27 days, as we will begin our first visit to Australia next week!